MDWg receives an Australian Ethical Community Grant! A few months ago, we reached out to our network of friends and supporters, asking them to vote for MDWg to receive an Australian Ethical Community Grant. We’re so delighted to share that we have been successful! Thanks to everyone who voted for MDWg to receive the Community Grant! What will the grant be used for? This grant will support the Miriwoong Language Nest, a language teaching program reaching 400 children each week. 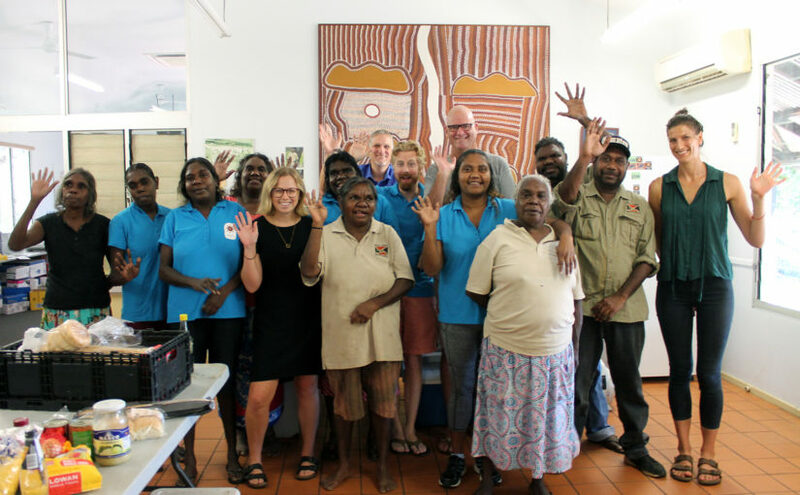 Our mobile team of six language teachers, supported by a facilitator, deliver Miriwoong sessions each day in Kununurra’s primary schools and early learning centres. This extra funding will support the Miriwoong Language Nest as it continues to grow, sharing and revitalising the Miriwoong language in the local community. The MDWg Board and team have identified that the expansion of this program is a key priority for the organisation. This grant will help us to achieve this important goal. 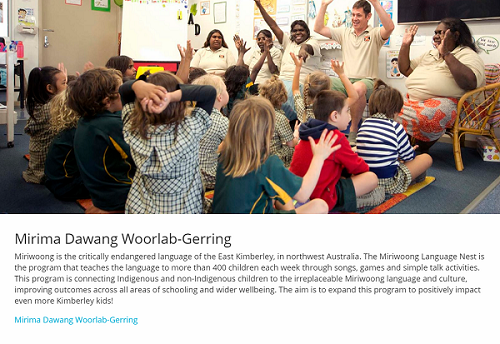 If you would like to support the expansion of the Miriwoong Language Nest, you can do so by donating on our GiveNow page. We would like to extend a huge thank you to Australian Ethical for their support of this program. A list of all recipients can be found here. Finally, we would like to say a huge thanks to you, our wonderful supporters. By voting and sharing with your friends, family and networks, you have created this fantastic outcome. Next Next post: Congratulations to MDWg’s Young Leader of the Year!